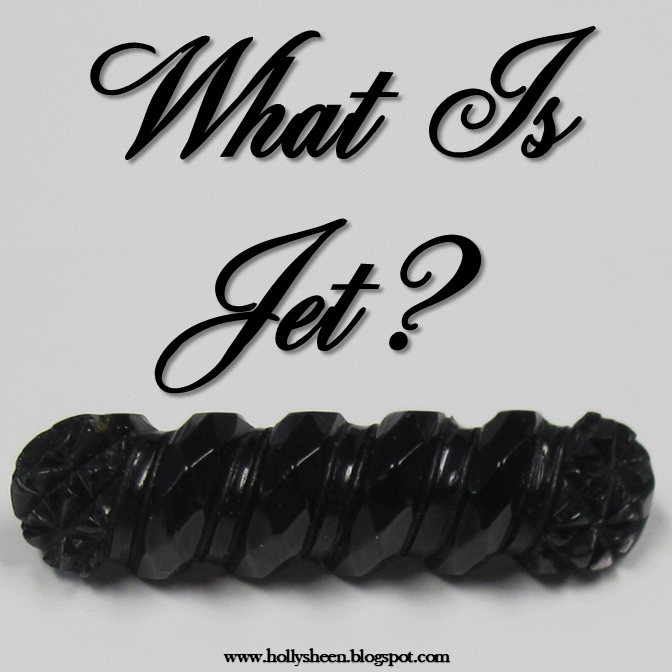 Southern Serendipity: What is Jet? Jet is fossilized wood. It has been used for making jewelry since ancient times. During the Victorian era, some of the finest Jet was mined from the cliffs of Whitby, England. Therefore, Whitby Jet in particular was in demand. In 1851, The Great Exhibition of the Works of Industry of All Nations (sometimes referred to as the Crystal Palace Exhibition) was held in London. One of the Exhibitions featured Jet jewelry and its popularity quickly grew when it enjoyed royal patronage almost immediately. 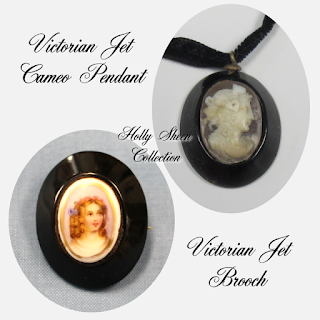 When Queen Victoria’s husband, Prince Albert, died in 1861, Queen Victoria went into mourning and allowed only Jet jewelry to be worn at court. As usual, society followed court etiquette and Jet became very fashionable for mourning. However, though Jet was important for mourning jewelry, it continued as a very popular material for mainstream jewelry in general. Many non-mourning pieces were made from Jet. Eventually production of Jet jewelry could not meet the demand so other similar-looking materials were substituted, such as French Jet (glass) or Vauxhall glass, or Vulcanite (a natural, hard rubber). When rubbed against unglazed porcelain, true jet will leave a chocolate brown streak. Unlike glass, Jet is warm to the touch. Also, when rubbed briskly onto silk or wool, true Jet will develop static electricity much like Amber. Modern jet is scarce and expensive. These onyx earrings in my shop closely resemble the look of jet for an affordable price.